A magnificent family home in Surrey, this 5 bedroom property boasts exceptional features such as, split levels, glass walls, high ceilings and pocket doors. The layout of the building offers spacious ground floor accommodation (kitchen/breakfast/family) plus five further reception rooms. It has a grand curved staircase that leads to the upper level and a self-contained annex. The property required a lighting control solution that could effectively control a multi-room LED based installation. Flexibility was key with the ability to tailor the lighting requirements for individual rooms essential, and the look of the system needed to complement the quality design and fabulous finish of the project. Hamilton worked alongside the developer to design a bespoke system based upon its Mercury® Lighting Control system. This intuitive system enables the user to create an incredible variety of lighting scenarios; from simple dimming to scene-setting programmes, which can be set, stored and recalled with ease. operate all pre-sets at the touch of one button. A remote control facility via iPad/iPhone using a downloadable app was also integrated into the system. 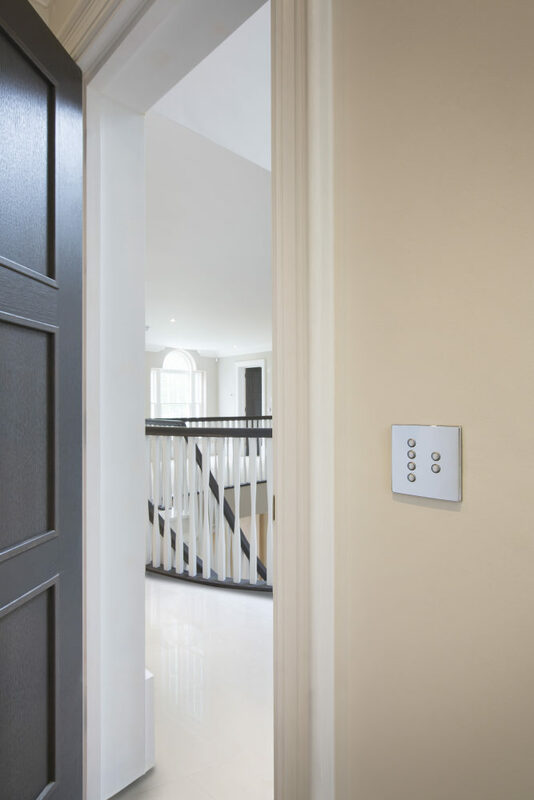 The homeowner has a system which can be controlled by the push of a button, or remotely by the swipe of a finger, giving them full control of the lighting throughout the property even when it’s unoccupied. Plus Hamilton’s bespoke design and production service, Savile Row, ensured that every control plate was unique in both function and form – tailor-made coming as standard!